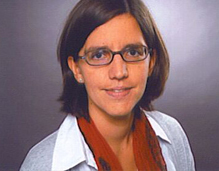 Dr. Sandra Destradi is a research fellow at the GIGA German Institute of Global and Area Studies / Institute of Asian Studies in Hamburg, Germany. She studied International Relations and Diplomacy at the University of Trieste, Italy, and was awarded a PhD from the University of Hamburg in 2009. Her current research interests are regional security and regional conflict management, with a particular focus on South Asia. At IDSA, she works on regional conflict management in the case of Afghanistan and on India's Afghanistan policy. Among her publications are the monograph Indian Foreign and Security Policy in South Asia (Routledge) and articles in international journals, among others Review of International Studies, Asian Survey, and Democratization.